Paging "Dr. Ken." 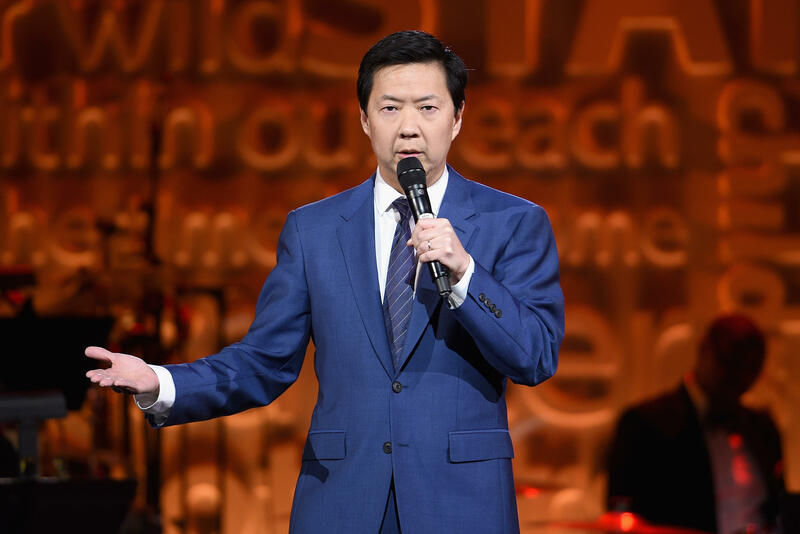 Actor, comedian and doctor Ken Jeong's medical degree came in hand on Saturday when what he thought was a heckling incident turned into medical emergency. The comedian was performing at a comedy club in Phoenix when a woman in the audience started having a seizure. An audience member told USA Today that initially, the comedian thought he was being heckled. "It was such perfect timing: Ken just jumped from the stage to help," Heather Holmberg said. "He couldn't see what was going on with the lights. He thought he was being heckled. He was playing with them from the stage for a second and it was like, 'No, no, no. We need you!' He realized there was an issue, and he came over. It was a moment where time stands still. Someone was having a crisis. There was a hush over the room." An EMT in the audience also helped provide aid. ET Online reports Jeong is currently licensed as a physician and surgeon in California, although he no longer practices medicine. Jeong's representative, Michelle Margolis, confirmed reports that the actor and an EMT helped the woman until paramedics arrived. She was taken to a hospital. There was no immediate word on the woman's identity or condition. The show went on after the woman was taken to the hospital, and Jeong finished his comedy routine. The actor is known for starring in "Dr. Ken," "Community" and "The Hangover" movie franchise. He will also appear in "Crazy Rich Asians."